Does Manila want to move away from US? Recently, the Philippines has taken steps which don't show a friendly disposition to the US. For example, Philippine President Rodrigo Duterte said the country will no longer purchase weapons from the US as Washington banned Manila from buying arms and military equipment from China and Russia. Last December, Philippine Defense Secretary Delfin Lorenzana proposed to review the 1951 Mutual Defense Treaty (MDT) which was signed with Washington, triggering concern that Manila would scrap the agreement. Last July, President Duterte said, "There will never be a time that I will go to America during my term or even thereafter." Meanwhile, the Philippines seems to be getting closer to China and Russia. Russian Navy warships finished their visit to Manila on January 11. On January 17, three Chinese People's Liberation Army Navy vessels reached the Philippines for a goodwill visit of four days. Do these moves signal Manila's intention of breaking with Washington and pivoting toward Moscow and Beijing? These steps may only be a strategic readjustment by the Philippines. Unilateralism propounded by slogans like "America First" (of Trump administration) has to some extent offered Duterte an opportunity to tweak its US foreign policy. One domestic mission of Manila is to augment the Duterte-proposed "Build, Build, Build" program, aiming to accelerate infrastructure spending, boost promising industries, create more jobs and enhance living standards. Washington can neither provide capital nor technology for the program, but China can. Adjusting its policy toward the US is also a result of the Philippines' overall national demand. Additionally, in recent years, nationalism among Filipinos has been rising, especially after Duterte took office. Anti-US voices and sentiments have gained ground within the archipelago nation. The US-made weapons are expensive, and may not be consistent with Manila's national strength. Hence, the nation plans to purchase arms from other countries. Weapons sourced from China or Russia are much cheaper but equally good. One of Manila's tasks is to counter terrorism and eliminate terrorists from the southern Philippines. In order to achieve this goal, the nation needs military devices and weapons with night-viewing capability, like night-vision helicopters and rifles with night vision goggles. Such hardware provided by China and Russia is cost-effective. Washington has exercised huge political influence on Manila because of the MDT, considered the anchor of US-Philippines ties. Hence, it would be hard to scrap the treaty. Currently, Manila is unlikely to lean completely toward Russia and China. First, the Philippines is a member of ASEAN and one of its important national policies is to pursue a balance among great powers. Second, Manila has been a traditional ally of Washington, and it would be unrealistic to change that in the short run. In the context of evolving global geopolitics, it is normal for Manila to adjust its policy toward US. The nation will seek a balanced strategy and avoid a complete tilt to either side. Furthermore, the US has had a long-term impact on the Philippines, including on its education and ideology. Pro-US sentiment in Manila is still strong, especially inside the military. It is unrealistic that the Philippines will pivot away from US to China and Russia in the short term. The Philippines is significant to the Indo-Pacific strategy of the US. However, Manila's recent moves are a blow to the strategy. Last November, when US Vice President Mike Pence visited Japan, he reaffirmed US' commitment to the Indo-Pacific region. He and Japanese Prime Minister Shinzo Abe declared a combined $70 billion for the development of infrastructure in this region, with $60 billion from Washington and $10 billion from Tokyo. The US intends to gain support from Indo-Pacific nations, including the Philippines. 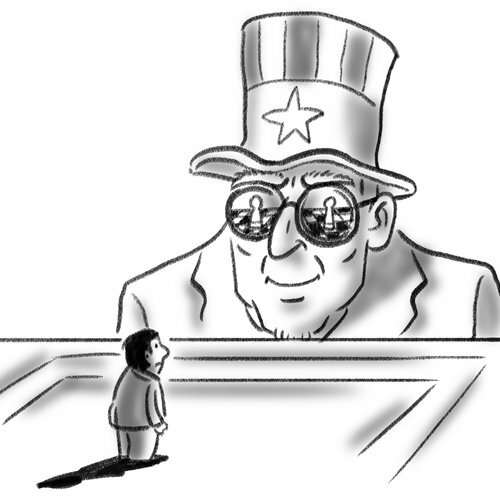 As Manila has been an important ally of the US and is strategically important, Washington will try to maintain close ties by applying the carrot-and-stick policy. The US may court the Philippines by offering more economic and military assistance. Meanwhile, Washington would also come down hard on Manila to force a rethink if it continues to show an unfriendly attitude.